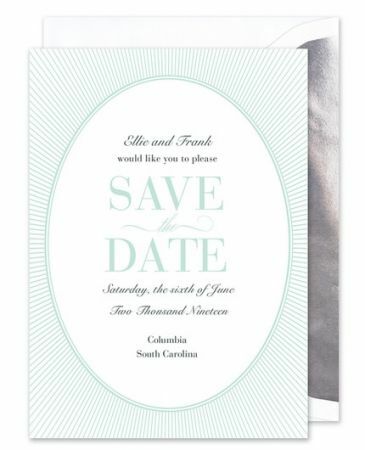 A modern linear design in sea glass frames the outside edges of this pristine white invitation. Your personalized event details add the finishing touches. Shown with optional motif, The.